Probably one of the most important formulas for students to know, remember and feel confident using is the Pythagorean theorem. I always like to introduce it in a fun, hands on way to make sure kids understand the meaning before I present a formal definition. But then, kids need lots of practice. And since mindlessly solving problems for a or b or c with no context gets tedious and boring, why not practice with these Pythagorean Theorem Word Problems? This set of problems can be used in a lot of different ways and will give your kids a context for using and applying the formula. 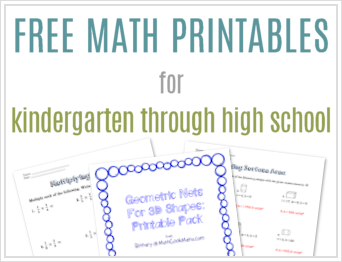 If Pythagorean theorem is still new for your kids, you may want to start with these introductory lessons. These real life examples provide further context and give space for kids to draw pictures and show their thinking. 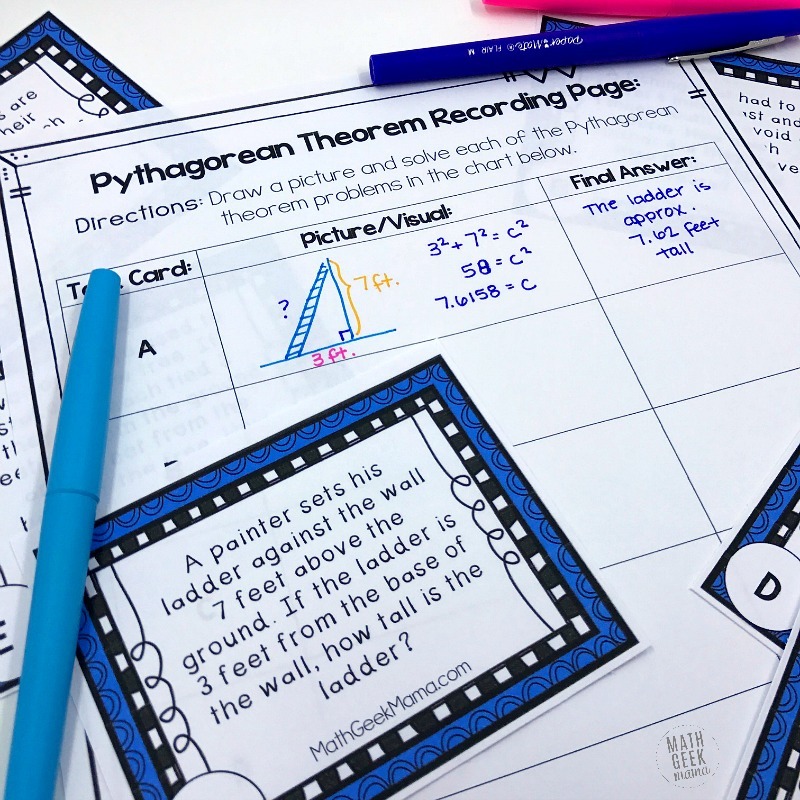 Once they feel more confident, this set of Pythagorean theorem word problems task cards can help reinforce their understanding. 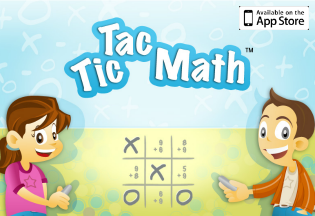 Plus, it provides an opportunity to practice critical thinking and problem solving! 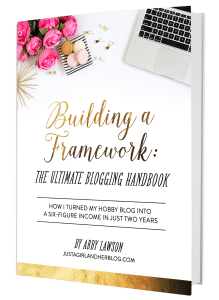 This download includes a set of 6 task cards. 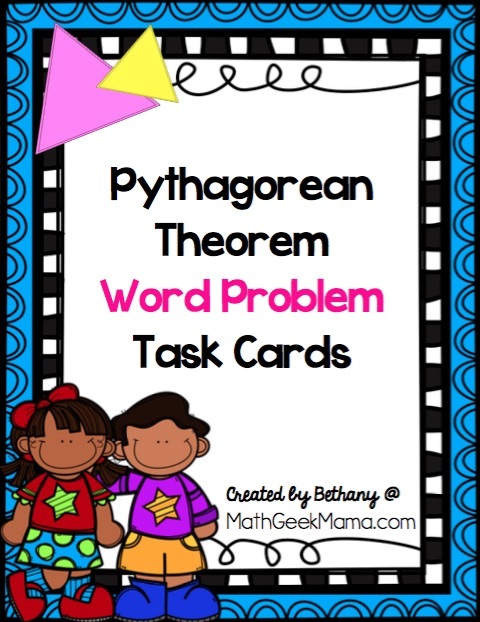 Each card includes a word problem that requires kids to use the Pythagorean theorem to solve. Some of the problems ask for the length of one of the sides of the given right triangle, while a couple of the problems are actually two-step problems. This means using the Pythagorean theorem is a necessary step, but doesn’t provide the final answer. Also included is a recording page. On this page, kids have space to draw a picture (ideal for these types of problems) and show their thinking. Then there is space for them to write the final answer. 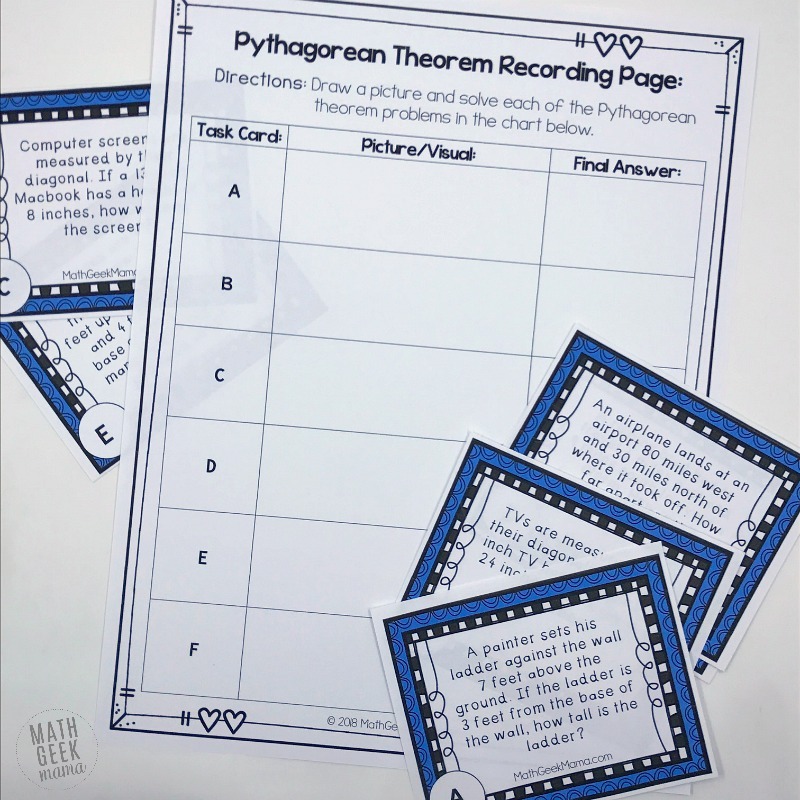 Finally, there is a teaching tips page with examples and ideas for how to use the task cards, plus an answer key, making this super easy on you, the teacher! First, print the page of task cards. I suggest printing on card stock and laminating them for durability. Cut out the cards, then print a recording page for each student. Now you’re ready to decide how to use them! Task cards are a fun way to practice because they can be used in whole class or small group games, or as individual review. To play as a whole class or small group, use them in a game of scoot. This means each card is at a different “station” around the room. Kids then (probably in small groups of 2-3) make their way around the room, solving each problem. You set a timer for each station and then call out, “Scoot!” to let kids know it’s time to move to the next problem. You could also include the entire set as a single math station. Then when kids get to the station, they work through as many task card problems as they can, recording their answers. This could also be used with small groups who need more review or intervention with you, or as individual practice at home as homework. However you work the problems into your math routine, I hope it helps your kids see the benefits of math in real life! 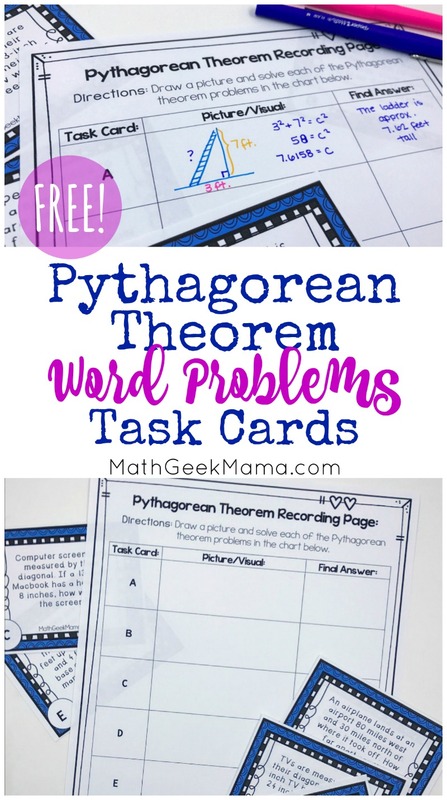 Want to grab this free set of Pythagorean theorem word problems? Just click the link below to grab them in my shop!